I have thrown countless parties over the years — Christmas, birthdays, bridal and baby showers, you name it. I love parties and have learned a lot about throwing ones that don’t make you go insane, or broke, in the process. 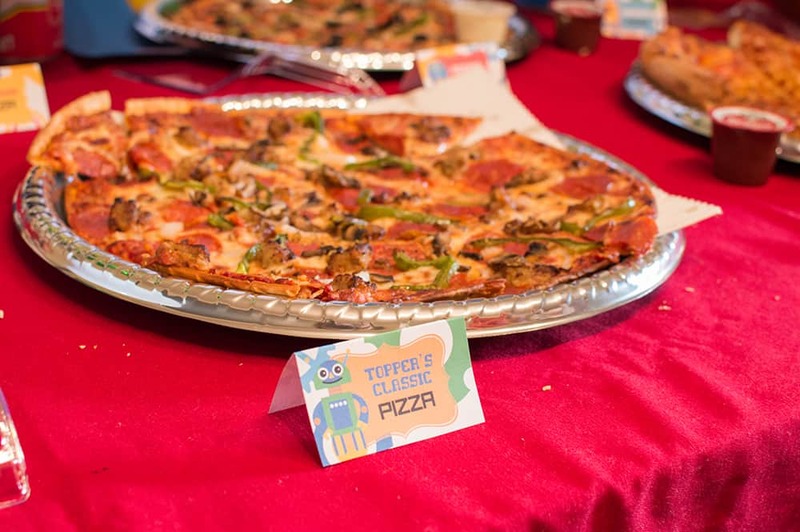 Here are my 6 steps to a Pinterest-worthy party on a penny pincher budget. Pick a theme that’s meaningful and you will have so much fun finding the perfect details to coordinate with the theme. I love finding unique ideas and going with it. 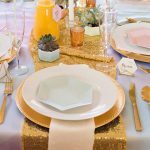 From picking the theme and colors, to the entire vibe of the party, you can transform your party by keeping everything consistent. Preparing food takes longer than you think. Choose simple recipes or better yet get it catered. This doesn’t have to cost an arm and a leg and by choosing a party start and end time that doesn’t overlap standard meals, you can get by with small bites. I used to try to make everything myself, and it’s exhausting. For my last couple of parties, I got the main meal catered and supplemented with some easy sides and treats and it was so much easier. Pizza, Chinese, Jimmy Johns, and Chipotle are all tasty and inexpensive options. By choosing a party start and end time that doesn’t overlap standard meals, you can get by with small bites. Make one signature cocktail or drink and better yet, make a batch of it. Serve your drink in a dispenser or pitcher at a self-service bar so guests can fill up their own glasses whenever they please. I love making non-alcoholic punches but then providing adults a way to spice up their beverage. 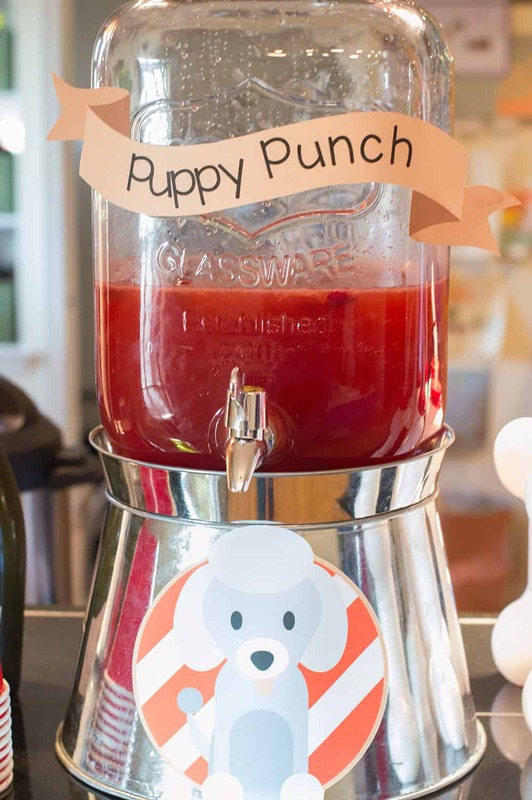 For example, the puppy punch below was great for kids, but adults could top their’s off with some champagne! I call that a winner. 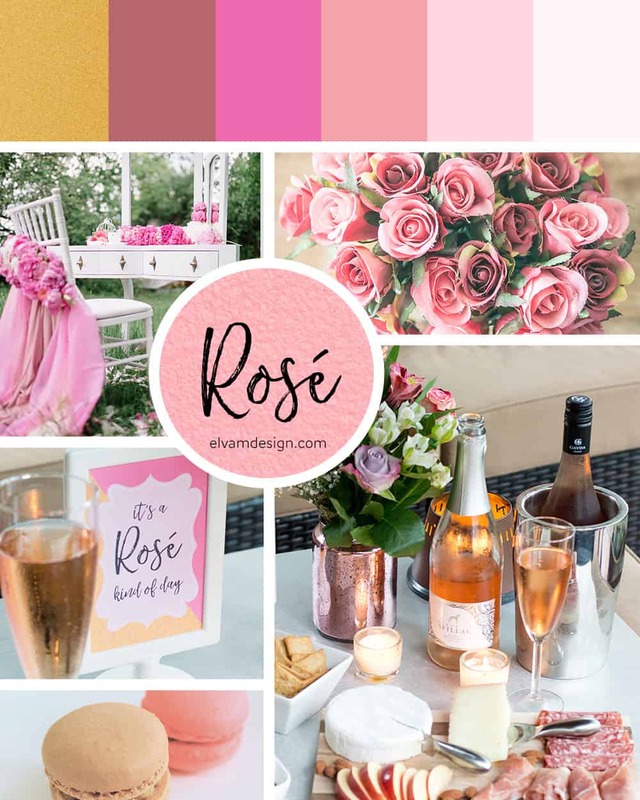 Create a mood board with your theme, color palette, and any known decor items then start scouring local stores and the Internet for ideas. Don’t forget to shop your own home. 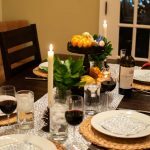 I have many examples of using decor items found around my home to add a little extra flair to the party. I also love finding party decorations that I can use over and over. Invest in a few high quality party supplies, such as cake stands. 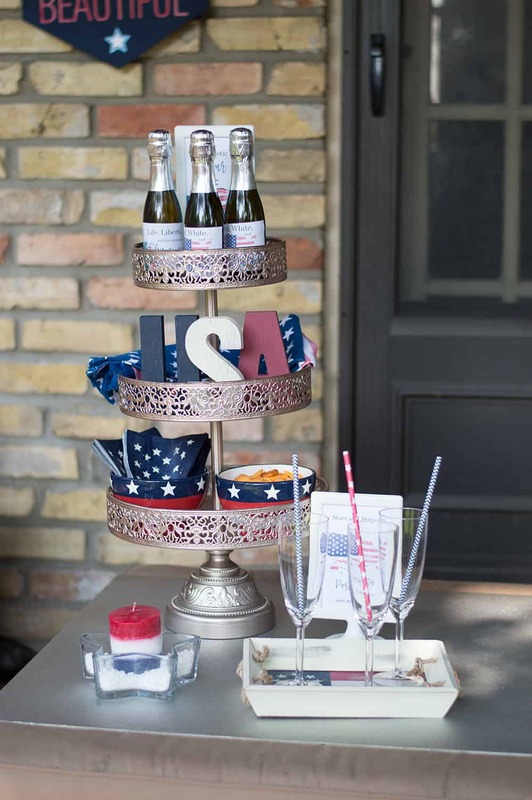 I love Amalfi Decor’s stands and trays, like this 3-tiered champagne tray that is versatile for a lot of uses. 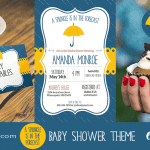 To keep it inexpensive, use party printables to bring the theme alive. You can find so many fun and unique printables on Etsy, including my own shop, Elva M Design Studio. Many shops offer instant downloads or get a truly custom set made. I repeat, do as much as you can before the party is even close to starting. A few days to even a week before, start getting your decorations in order. Prepare foods that are fine to sit overnight and make sure all supplies are ready to go. While Amazon Prime Now is handy, it’s stressful waiting for the printer ink to show up when you run out the night before the party. I know this from experience. Make sure you have plenty of tape, white card stock, and printer ink on hand. I also love using 3M command strips for hanging temporary displays on walls. Don’t stress if everything doesn’t come together exactly as planned. Most of the time you are the only person that will realize something is missing. Every time I throw a party, I forget some piece of decor that I was planning on displaying. This is also a good reminder to make a list and keep all your supplies together, but that’s besides the point. Just don’t sweat it. The most important aspect of a party is that guests are happy, and 9 times out of 10, if you’re having a good time, they will too. So go grab yourself that signature drink, turn up the tunes, and chat with your party guests. The most important aspect of a party is that guests are happy, and 9 times out of 10, if you’re having a good time, they will too. I hope you found these tips helpful. 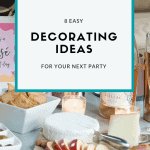 Do have any party planning tips that you swear by? I’d love to hear about them, please comment below.